Where are we going? Does it matter? 8-disk series which explores the concept of heaven and earth in the scriptures. 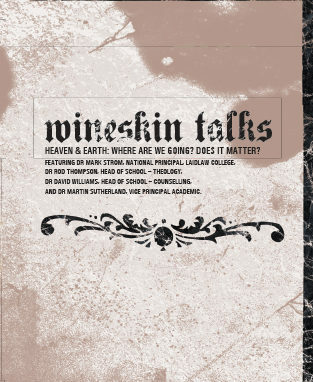 Laidlaw College again presents another thought-provoking Wineskin series which explores the concept of heaven and earth in the scriptures. The College Heads of School join Dr Mark Strom in presenting a rich smorgasbord of teaching.